From a distance, the Facebook/Facebook property arms race with Snapchat is amusing to behold. Snapchat are often first past the post with features, and Facebook usually just try and pick their most applicable service and then do the same thing, but bigger. The latest chapter in this seemingly never ending tale is the ability to overlay images with different coloured text, drawings and emojis. 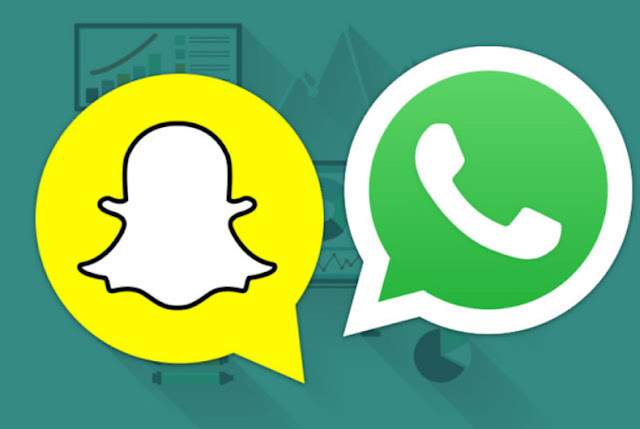 It's something that Snapchat has become renounced for, and with the app being pushed onto a more global platform, Facebook are trying to make sure they get there as well, via WhatsApp. Alongside this, WhatsApp have now also enabled the front facing flash, allowing you to take pictures of yourself when the surroundings are dark and dim. Guess who did that first? Don't actually, it's blatantly obvious. Intellectual property theft isn't exactly absent from Facebook's history, just ask the Winklevoss twins, but features like these represent something of a grey area. Snapchat are doing just fine on their own, and up until now none of Facebook's copycat behaviour has been directly detrimental to their expansion, but having WhatsApp doing things on a global scale before they expand in the same way might knock them back, especially considering the amount of money being poured into clones of their app, like the South Korean 'Snow'. In the end though, Snapchat is still Snapchat, and their advances into wearable tech suggests that they're not overly concerned with this kind of direct market competition.